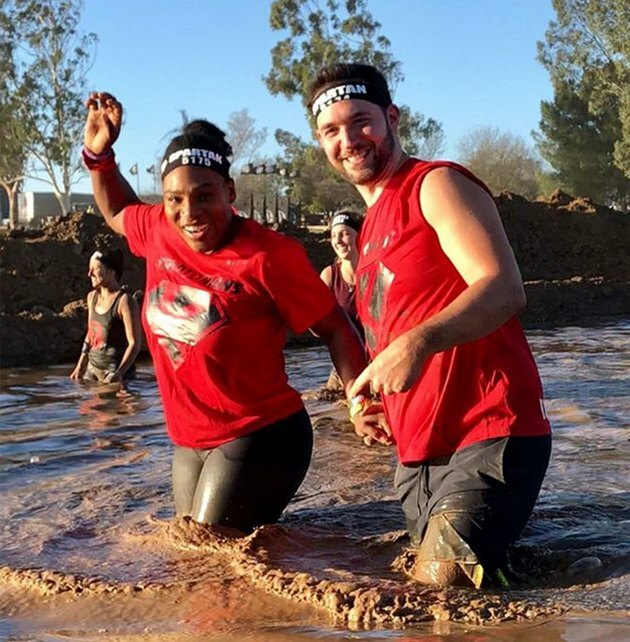 As if Serena Williams couldn’t get any more epic, she just tackled her first Spartan race only five months after giving birth to her first child, Alexis Olympia. GOALS. The 23-time Grand Slam champion and Olympic gold-medalist shared photos and videos from the race on Instagram. The 36-year-old raced alongside her husband, Alexis Ohanian, and friends from her dance group, the (appropriately named) Kryptonians. “Competed in a Spartan race this weekend with SOME of my @kryptonian teammates,” she captions her post. In the videos, Williams, 36, can be seen jumping over hurdles and wading through knee-deep mud. The tennis legend also busted out a few surprising techniques from her childhood to complete the course. “This first video was a five-and-a-half-foot jump. Halfway through I knew there was no chance to get my legs over so I remembered my gymnastics classes from my youth!” she writes. But it looks like the suspension rings gave her a bit of trouble. “The rings lol look I tried! Hahahah.” Relatable, much? Forget about having just given birth — completing a Spartan race is no easy task for even the fittest among us. It requires you to conquer anywhere from three to 26 miles of obstacles that challenge your entire body, asking you to scale walls, throw spears, crawl under barbed wire and more. Earlier this year, Williams opened up about the extreme complications she faced after delivering Alexis Olympia, having suffered from a pulmonary embolism, or blood clot in the lungs, during her recovery. But that hasn’t slowed her down much: She announced last week that she will be returning to the tennis court for the Fed Cup, starting on February 10. In the meantime, we’ll be on Instagram looking out for more kickass inspiration! Have you ever considered competing in a Spartan race? Do you enjoy working out with friends? Share in the comments section.